We are a membership and user led organisation, run and controlled by disabled people. We promote independent living for disabled people in Sheffield. By independent living we mean that disabled people have the same freedom and rights to exercise choice and control over their own lives as any other person. The next meeting of the Disability Hub is on Thursday 4 April 2019 from 2-4pm at The Circle. The Hub is one of the ways in which disabled people can have a greater say on the services and businesses disabled people interact with locally. We’re working with businesses to help them improve their accessibility with the aim of Sheffield becoming a more inclusive city. 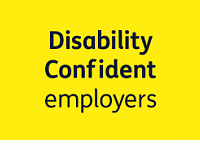 We offer Disability Equality Training, Access Audits and support to be Disability Confident. If you run a business or organisation in Sheffield, then a workplace Access Audit and review of disability policies could open opportunities for you to a have a truly diverse and talented workforce. Let’s make sure the disability employment gap doesn’t get any bigger in our city. 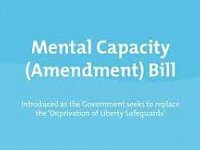 Disability Sheffield has joined with over one hundred social care sector organisations by signing an open letter to Ministers criticising the Mental Capacity (Amendment) Bill.The letter puts on public record serious concerns about the content, progress and passage of the Bill saying the reforms pose a real threat to the human rights of people requiring the greatest support in life. 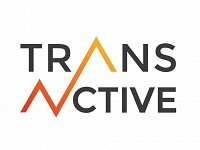 Healthwatch Sheffield, in partnership with SAYiT and Transactive have published a report detailing the experiences of health and care in Sheffield’s trans community. The report details a range of issues including waiting times, fear of stigma and a lack of awareness of gender identity within health and care settings. 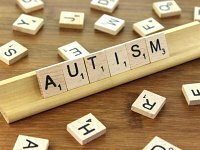 This year the Department of health and Social Care, working with the Department for Education, will review the ‘Think Autism’ strategy and extend it to cover children as well as adults. They are asking for the views of people with autism, their families and carers to find out where improvements can be made. The consultation closes on 16 May. Walking for Purpose has launched its 8th block of walks which started on 3rd April and will run until 5th June 2019 delivering the project in Firvale and Stocksbridge for the first time offering jobseekers the opportunity to gain valuable skills and training that employers want, whilst being active with a gentle walk.